Welcome to my portfolio, my name is Lina and I'm a graphic designer and illustrator based in Umeå, Sweden. 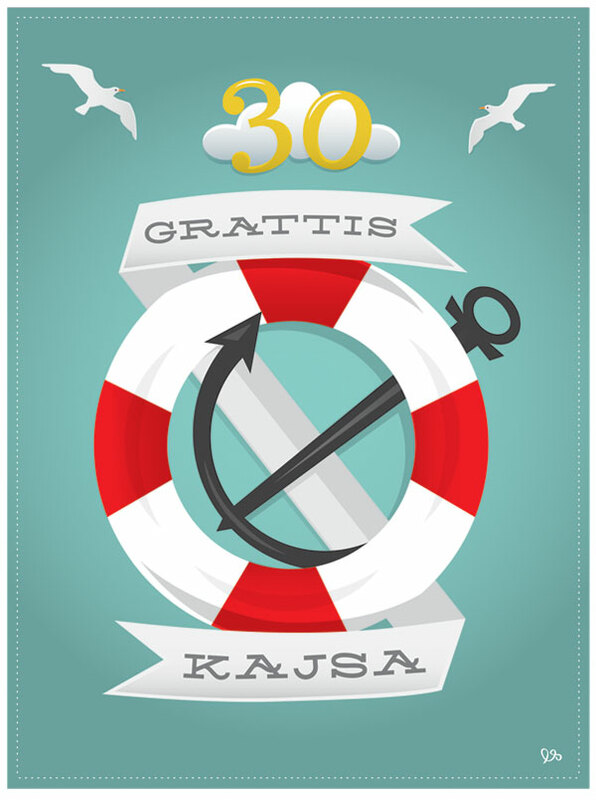 For some reason I decided to make a nautical/sailor themed card for two of my friends who are about to turn 30. There’s no pun and no real meaning to it other than the fact that I just like sailor themed elements. “Grattis” is short for congratulations in swedish.